The Motorola Moto Z3 Play is Motorola's next mid-range smartphone, and according to the latest rumors, it's likely to be officially launched on June 6, at least in Brazil, one of Motorola's key markets. In the last few weeks, much information about the Moto Z3 Play has gone online, including some live pictures of the smartphone. 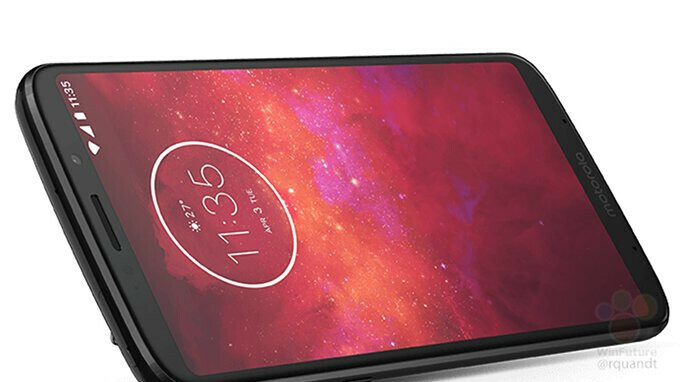 Winfuture.de released the first official pictures of the Moto Z3 Play After what we see in these renderings, Motorola has changed nothing in design. But let's take a look at the dual-camera setup, which consists of two 12-megapixel sensors. 080 x 2160 pixels) and 18: 9 aspect ratio, and there is no notch. The Moto Z3 Play includes a 1.8 GHz Octacore Qualcomm Snapdragon 636 processor, 4 GB of RAM and 32 or 64 GB of internal memory. Like many Motorola smartphones, the Moto Z3 Play will be fully compatible with the company's Moto Mods. In fact, pictures from the phone with an unpublished 5G Moto Mod leaked a few days ago. Although it will be announced in Brazil next month, we can assume that the Moto Z3 Play will be made available worldwide soon thereafter.